Taylor Swift, speaking to Rolling Stone in 2014 about her ongoing feud with an unnamed female pop star. Such a quote may, justifiably, lead you to presuppose that Swift lacks a certain steeliness — that, when it comes to life’s toughest showdowns, she goes along with the crowd. This week, such assumptions have been utterly eviscerated. On Monday (November 19th), Swift revealed that, following a short period as a free agent, she had signed a new global recordings deal with Universal Music Group. The decision saw the singer leave her label home for the past 12 years, Nashville’s Big Machine. As part of this new agreement, Swift maintains ownership of her future master-recordings rights — likely by licensing them to UMG for a period of anywhere up to 10 years, after which she will regain full control. To understand the profundity of this gesture — and the extent of its surprising selflessness — requires a brief bit of background. 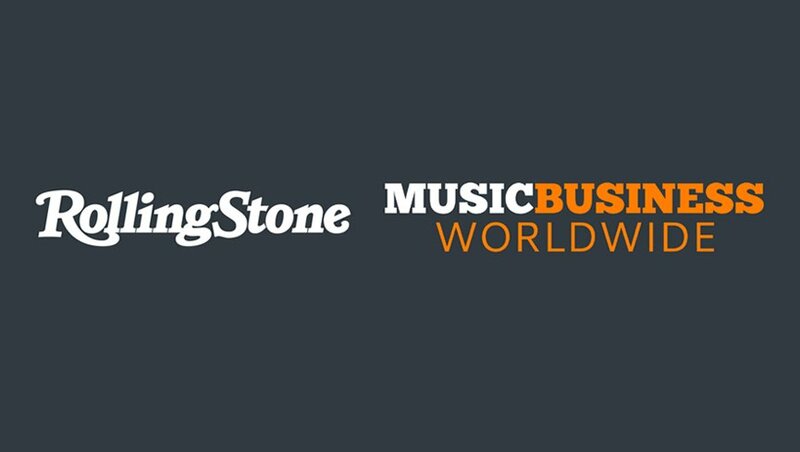 According to MBW, when the three major labels (Universal, Sony and Warner) — plus indie-label rep Merlin — first struck licensing deals with Spotify in 2008, they received an 18 percent cumulative stake in the company. Over the years, this equity stake has been diluted by new investors in Spotify, meaning that, by the time the Swedish streaming giant floated on the New York Stock Exchange in April, that 18 percent had been cut in half, to nine percent. Sony has since sold 50 percent of its shares in Spotify for gross proceeds of $768 million. Warner has sold 100 percent of its shares, for $504 million. As of now, Universal hasn’t sold any of its shares — and continues to own an estimated 3.5 percent stake in Spotify. Depending on Spotify’s ever-fluctuating market cap, this equity has, in the past month, been worth anywhere between $800 million and $900 million. When an artist signs to a record company, they are typically paid an advance check — akin to a bank loan. The money they then generate for their record company goes against this debt until they recoup, at which point the act can start taking home the full extent of their agreed royalties. The problem: the record business has long been built on a few pop megastars (howdy, Miss Swift) essentially paying for the careers of countless artists who never make it this far. To give you an idea of the steep odds, the oft-cited historical estimate is that five percent of all label signings recoup. Yep: Around 19 out of 20 artists signed to record companies have never paid off the advance they received upfront. Back in June, Sony shocked the music industry by announcing that, when it came to sharing its Spotify stock profits with artists, it would ignore these unrecouped balances. This was an unprecedented moment of generosity from a multinational corporation. As a result, sources estimate that Sony has now paid its artists around a third of the $768 million it cashed in from its Spotify shareholding; thousands upon thousands of Sony-signed artists have consequently ended up with money in their bank that they had no right to expect. Warner, however, took a different approach. After cashing out its $504 million stake in Spotify, the company shared 25 percent ($126 million) with its artists’ accounts. But it didn’t ignore unrecouped debt — meaning that a significant chunk of that $126 million stayed within the firm’s coffers. Onto Universal Music Group, the world’s biggest record company. UMG confirmed in March that, whenever it banked its Spotify stock money, it would share it with artists — but was light on detail as to exactly how. Taylor Swift just nailed down that detail. Industry whispers suggest that all three major labels chased Swift for a record deal, while the likes of Spotify, Apple and leading telcos are also speculated to have been interested in luring her toward a direct partnership — whatever the cost. The source added, “People will of course speculate it’s about who could pay the biggest advance check, but that’s not correct: Money’s money and Taylor Swift is worth a lot of it, but that genuinely didn’t have a whole lot to do with her decision. A spot of number-crunching shows just how significant Swift’s Spotify stipulation really is — and how she has benefited her peers far more than herself with its execution. First: How much money did Swift guarantee her fellow artists by demanding the non-recoupable Spotify proviso from Universal? 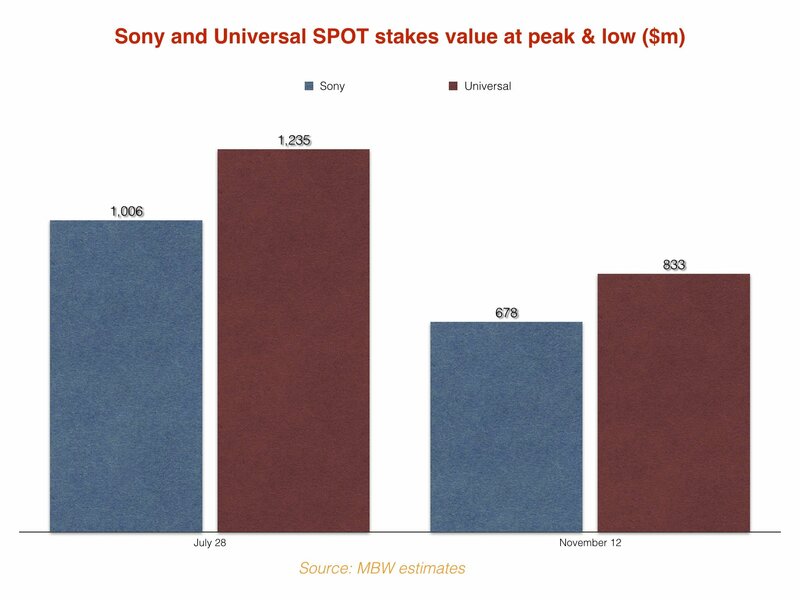 Swift claims that, according to Universal, its Spotify payouts will involve “much better terms than paid out previously by other major labels.” Let’s take Sony as the benchmark which, as noted, apparently paid out around 33 percent of its recent Spotify stock-sale haul to artists. Universal’s 3.5 percent stake in Spotify has, over the past couple of months, been worth a broad average of $850 million. A third of this money, as a projected artist payment, would come out to $283 million. Now, remember that up to 95 percent of artists are believed to remain in debt with their record companies. It’s not accurate to suggest all these artists’ advances were for the same figure, of course, and we have no way of knowing what level of unrecouped balances each owes Universal. Yet in an age of multimillion-dollar advances, it’s fair to assume that Swift just gifted her fellow Universal artists tens of millions of dollars in unrecouped money, which her major label could have legitimately retained. The most impressive part of Swift’s settlement, however, is just how little it will directly benefit her versus her fellow superstars. According to Spotify-monitoring site Kworb, Swift is the 84th most-streamed artist in the history of Spotify, with 1.59 billion chart-eligible plays on the service. This, despite the fact that, multiple times in recent years, she’s been the biggest-selling artist on the planet. Two key reasons Swift is so far down these Spotify rankings: First, she pulled her catalog off Spotify in 2014 in protest at its ad-funded structure, as she complained that “it is my opinion that music should not be free.” (Her albums didn’t return to the platform until three years later.) And second, Swift continues to “window” her album releases. We saw this with last year’s million-plus-selling Reputation, which didn’t land on Spotify until three weeks after it was available to purchase in stores and on iTunes. To put things into perspective, Swift’s 1.59 billion chart-eligible streams on Spotify are nearly 10 times smaller than the tally of the biggest artist in the platform’s history, Drake (with more than 15 billion streams) — who also happens to be signed to Universal. More to the point, Spotify revealed “Content Hours Per Monthly Active User” stats at the end of 2017, which would appear to suggest that the service now hosts around 2 billion streams every single day. Universal, following Sony and Warner, will almost certainly pay out the artists’ share of its circa $900 million Spotify money on a pro-rata basis, giving the greatest portion of its cash to the most popular acts on the service. Swift will not factor in the top 10 or even top 20 of these artists. She has just struck a deal which truly benefits the wider artistic community in lieu of a deal which wholly benefits herself. This isn’t the first time Swift has fiercely protected the income of her peers: In 2015, she publicly castigated Apple for not compensating artists for a three-month free trial of Apple Music. In doing so, Swift risked her relationship with arguably the most powerful company in the music business. Apple quickly relented, and Swift accepted its public apology. Some may snipe that Swift is “obsessed with fame, money and revenge”, but the statistical truth of the matter tells a very different story. Swift, as unlikely as it seems, is a true punk-rock rebel — one taking the fight to major corporations, while using her almighty commercial clout to push and prod them into doing the right thing.